Some of the outbuildings on the F. Skiddy Von Stade estate designed by Cross & Cross c. 1914 with extensive alterations by Peabody, Wilson & Brown c. 1930 in Old Westbury. 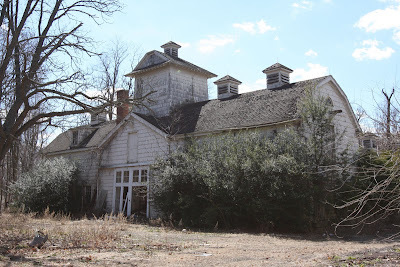 Click HERE and HERE for pictures of the Von Stade estate as it appears today and HERE and HERE to see how it used to look. The main barn structure should have been renovated. Some of the most unique homes on the North Shore are renovated barns and carriage houses. 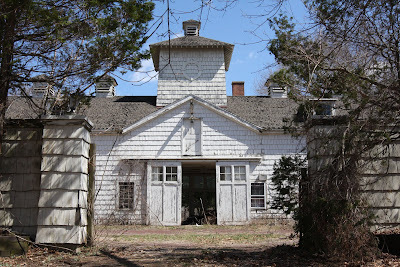 Especially here where the Entenmann family maintained them longer for the horses than they did the main home. 20-30 years ago it was common practice for a developer to try and leave intact gatehouses, carriage houses, etc., now its just bring in the bulldozer and clear the entire site. Inexcusable. 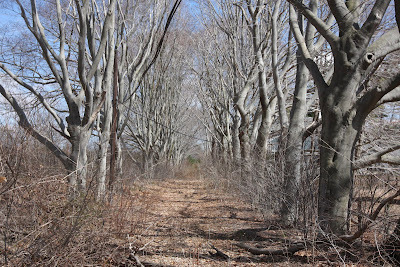 The Hidden Ponds developer is quoted as saying the property reminded him of Kentucky with the paddocks and open fields. Well once he destroys everything that looks remotely like a horse farm and builds 16 uninspired high-end homes on his boring cul-de-sacs, his development will resemble countless other ordinary and bland subdivisions. You could plop that unimaginative site plan anywhere, so goodbye to any and all references to Kentucky and hello to upscale tract houses. Archibuff, based on what you said about the developer I wonder if, in Kentucky, his family is involved in strip mining? AKA "Yeah, this is real pretty; brings a tear to my eye ... now let's make some money!" Lovely architecture showcased with those barns in fact more visually appealing than many new ones built in recent years by esteemed firms specializing in equestrian architecture. The slate roofed main barn with the coupulas has a tremendous amount of appeal. Zack, dare I ask - have these structures been razed? If they haven't been already they are set to be once the infrastructure of the new development is completed. 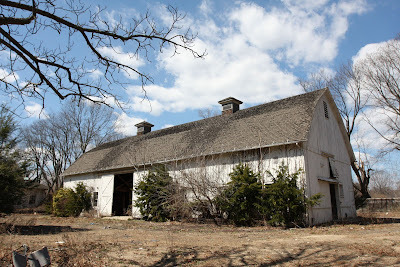 The barn you mention is the one that was attempted to be saved...but as I said in a previous post it turned out to be simply too expensive (especially when compared to building a new, identical one). Zach, now that's truly a damn shame. I've seen firms that specialize in acquiring barns (to be disassembled) either for their timber or for reassembly elsewhere. There is a niche market for distinctive historical barns. Doug...lol. The Hidden Pond website shows a barn renovated as a sales office and the huge dirt field adjacent to it is where that beautiful main barn stood. It would seem that it was torn down because it didnt fit into the standard lot subdivision that was planned and it would have to be moved as Zack previously said. Again, a typical case of site planners and developers with simply no imagination choosing demolition over preservation. That renovated barn structure would have looked a million times better than any of the new luxurious crap that is going to be built there. Watch out for that developers' rhetoric about "cheaper to build new". First of all, I doubt they have any intention of replicating this barn. Even if they did, it would not have the charm, history or patina of the old one restored--it would just be a new building. Tough week here at OLI, 4 days of this lovely estate exposed in sorrowful decline, a magnificent tribute I wouldn't have wanted to miss, thank you Zach. Just like the louvered half moon [you connoisseur Commenters must cringe at such improper architectural language, I do aplogize] I wanted a day or so ago, I see wonderful things attached to these buildings I'd love to take home with me, out of simple respect for their endurance, their age and craftsmanship. The attempt to save the barn had nothing to do with the developer besides their approval for someone else to try and save it. 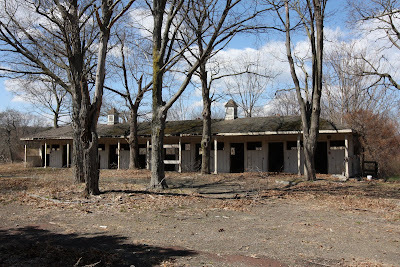 An independent individual whose business is saving barns in the northeast was brought in and examined the building over a 3 hour period. He gave an estimate as to the cost of dismantling the frame, trucking it off site and back to his shop so it could be completely repaired, trucked over to a new site, reframed and then built out. That cost was roughly double what it would cost to recreate the barn new. That's simply fact. The developer isn't planning on saving it...that's why someone else tried to. I completely agree that a new one would not have anywhere near the charm the old one did, and no one is planning on building a new one. It was just one of those inconvenient facts that ultimately prevented the original from being saved. I agree, I want the barn doors just for the beauty of them. DFP and Archibuff - my thoughts exactly. I'm going to take a stab at my security word today since it seems fitting. Procrion - how I feel when looking at such obvious neglect. 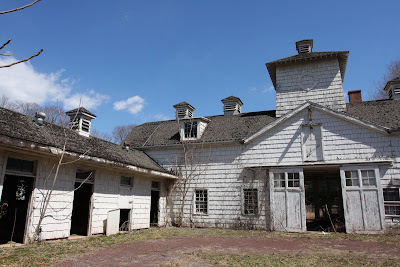 Thanks for the additional information; at least someone was evaluating this barn, and I understand that some buildings are further gone than others (e.g., see my recent post about Fair Haven, or for that matter the von Stade house itself--always a bad sign when light comes through the roof all the way to the ground floor). So many wrong or careless turns in this story. And, pity most of all that so many developers are so lacking in vision. I've always wondered why someone who has the money to shell out for a 30 million dollar NYC townhouse wouldn't also be in the market for a 10 acre estate for 5 million on Long Island. Because they're buying 10 million dollar plus estates one 2 acres in the Hamptons. ...and trophy wife has made a deal w/ hedge fund husband that he transfer at least 20 Mil interiors budget straight to her account. To start. Bunny Williams clears 1 Mil just to sign. Just give me the louvered half moons and I'm happy. It's a lot more expensive to renovate barns and other outbuildings than most people would imagine. 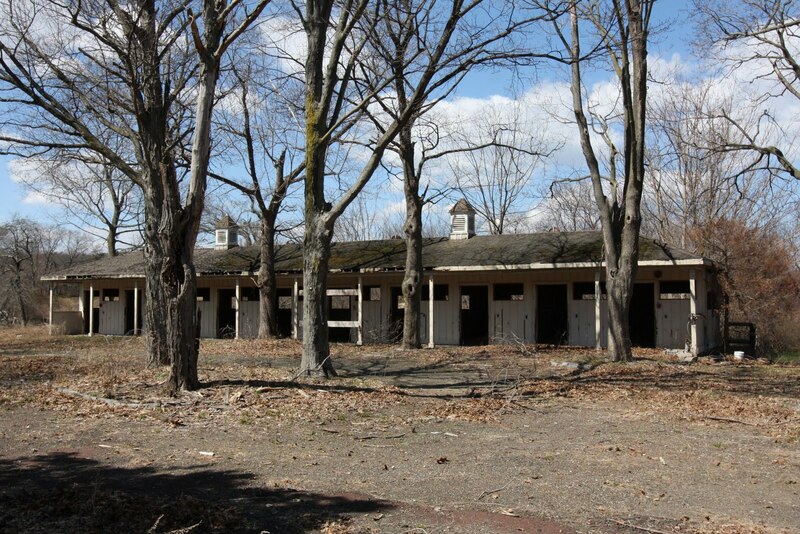 For example, I cleaned up, partially re-sided, and re-stained two fairly large barns a decade ago. Just that was in the low six figures -- without any interior work whatsoever. It's also true that outbuildings can reduce the value of a property, particularly when they have no obvious modern-day use, as most people don't want the trouble and expense of maintaining them. I have a complex of five buildings several hundred yards from the main house which I don't use at all. They're very old, and built almost entirely of chestnut, which is now extremely sought-after. Do I pour money into their maintenance, knowing that they add nothing to the value of the property, or do I tear them down, sell the chestnut, and plant more gardens? The other outstanding issue is whether LI is as attractive to Horse People as it was eighty years ago. Why live there if you could as easily live in, say, Bedford? 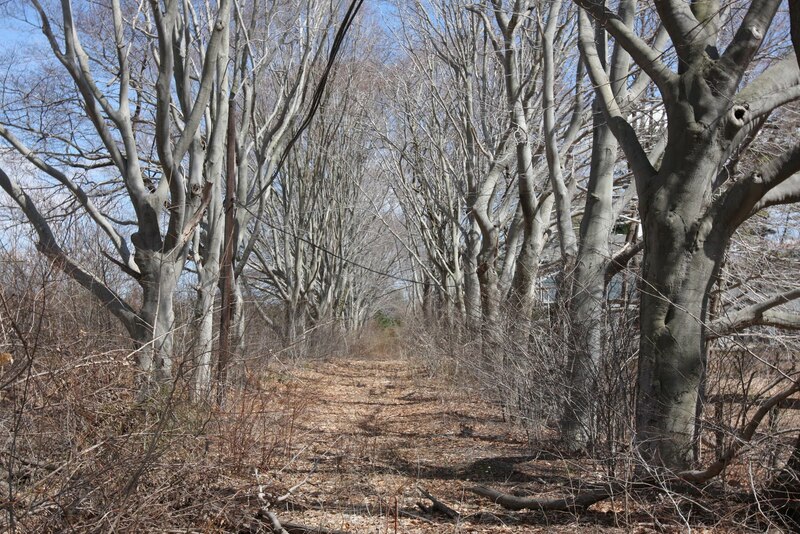 For that matter, why live in Old Westbury if you and your horses could live in Montauk? Isn't that why Templeton II is for sale?